Inductivist: American Indians are Christians (or nothing), not "Native American spiritualists"
American Indians are Christians (or nothing), not "Native American spiritualists"
The amount of BS from liberals is so overwhelming, it's hard to take. Whenever the topic is American Indians, "Native American spirituality" is sure to come up. The stereotype is of a people deeply devoted to the spiritual traditions of their forefathers. When I hear this, I say to myself, "I bet not even 10% of Indians say their religion is Native American." Turns out I was right. Using GSS data, here is a graph of over 300 Americans who say they are non-white American Indians (AIs). (I exclude the Elizabeth Warren types.) 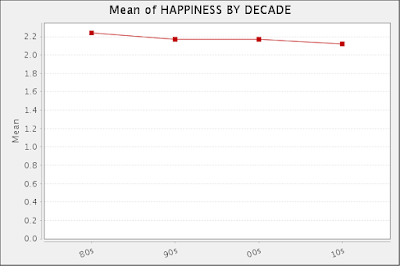 I split the sample in half (1970-99 and 2000-16) to see if there are any trends. First of all, most AIs are Christian. 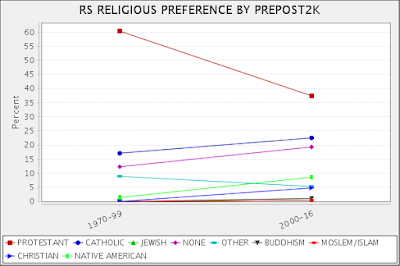 There is a trend away from Protestantism and toward Catholicism, Native American, or no religion. But even with the shift, fewer than 10% say their religion is Native--just like I guessed. 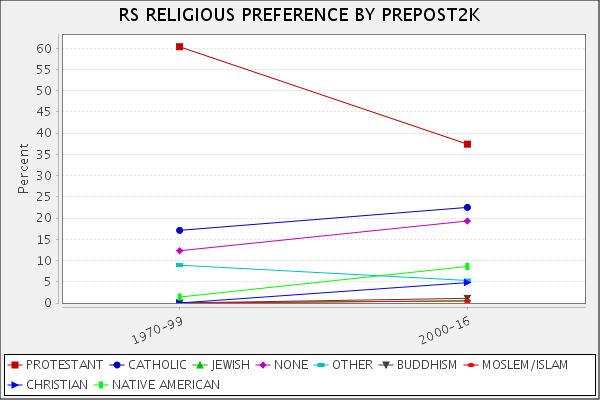 When it comes to their religious profile, Indians are pretty similar to many other American groups. I checked to see if liberalism predicts identifying one's religion as AI (thinking that adopting the old beliefs might be a sign of anti-Americanism) but the two are unrelated. The typical believer of this type is politically moderate.